Yes, we’re aware that technically there is no such thing as the central southern suburbs. But the Mother City’s southern suburbs cover a huge area, so to make it easy for those who don’t want to drive too far for dinner, we’ve chopped them up a little. 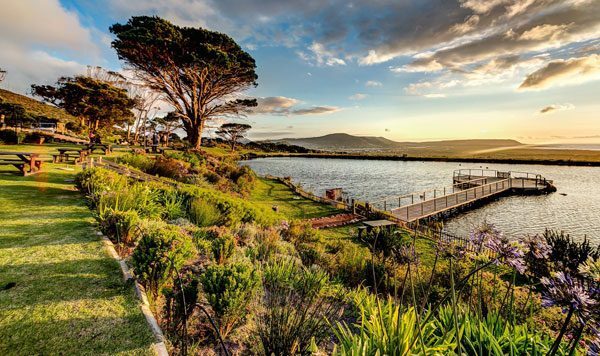 (Besides, no one could deny that Constantia – with three Top 10 restaurants – deserves its own list entirely!) 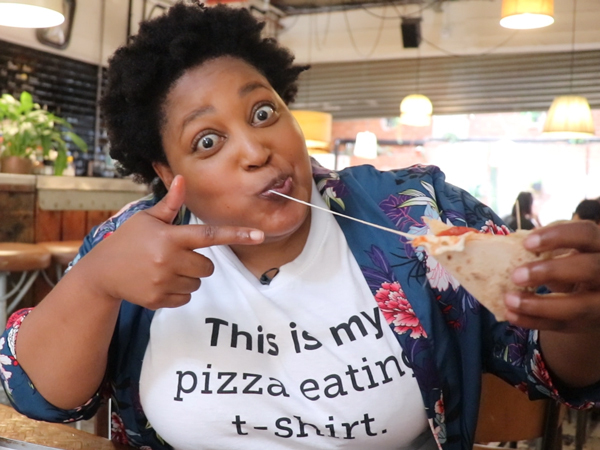 Eat Out critic Graham Howe trawled his home ground in Cape Town’s southern suburbs to find his favourite affordable neighbourhood eateries serving up the best eat outs and take-outs. Here’s his pick of the best restaurants in Observatory, Rondebosch, Claremont, Newlands, Kenilworth, Harfield Village and Wynberg. Sushi at Haru. Photo supplied. 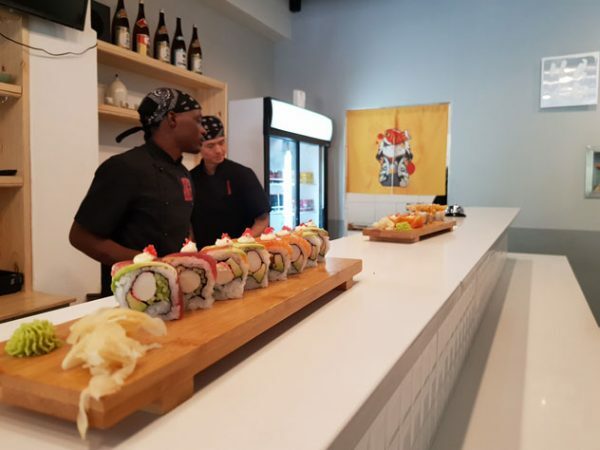 Bringing an exotic mix of new Japanese, Californian Asian and Korean cuisine to the ‘burbs, Haru (92 Campground Road, Rondebosch) is one of the hottest new dining spots around. Experienced Korean chef Karen Hwang serves the best broths – try delicious ramen, udon, soba and iced, spicy noodle broths – and great new-style sushi too. Start with a platter of seasonal vegetable tempura or lightly fried prawn tempura. The house specialities tempt with deep-fried Californian rolls with many fillings. Or try seared tuna or prawn inari rolls and flaming salmon rolls. The combination of taste and texture works a treat to create layered morsels of velvety melt-in-your-mouth flavour, giving sushi and nigari a new twist. BYOB with no corkage fee. Uncle’s Flavour (Main Road, Newlands) is a delightful new Chinese noodle and dumpling shop in the old premises of Taste of Mongolia. The Chinese chef-owner has expanded the menu to include fresh and delicious traditional Cantonese chow mein, chop suey and stir fry dishes. Specialities include spicy sizzling beef with dried red chillies, black bean tofu and Uncle’s prawns. Be sure to order unusual side dishes of mushroom mu-er salad and edamame beans. 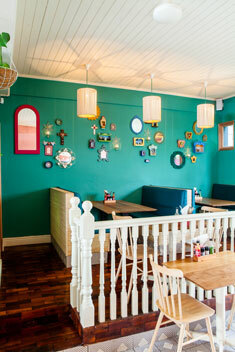 Uncle’s Flavour offers good value, fresh ingredients and a healthy take on Chinese take-out. Share the communal table and BYOB. A popular neighbourhood joint, Jerry’s Burger Bar (123 Lower Main Road, Observatory) satisfies fans with twenty variations of the ubiquitous burger served with all the trimmings as well as classic milkshakes. 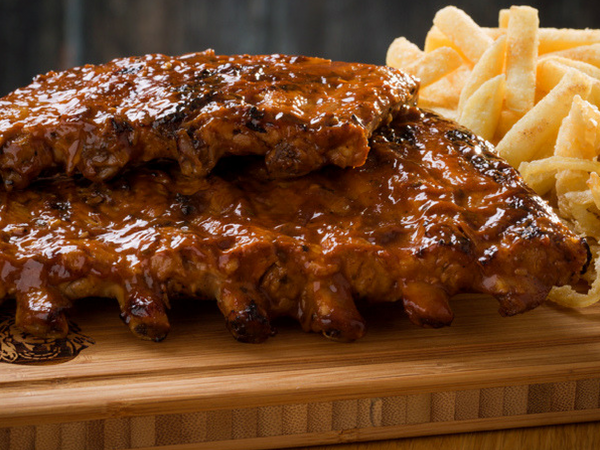 Crowd-pleasers like sliders, poppers, hotdogs, BBQ ribs, wings and tacos are also favourites on a diner-style New York menu. Served on a brioche bun with skinny or sweet potato fries, the 100% beef, chicken and pulled pork burgers come with a range of classic cheese (cheddar, Swiss or blue), bacon, mushroom and avo toppings. Or try exotic spicy Korean, Thai and Mexican sauces. Don’t miss one of Lucy’s pocket burgers, stuffed with indulgent gourmet fillings and relishes. There’s an extensive list of craft beer on tap, shooters and cocktails. 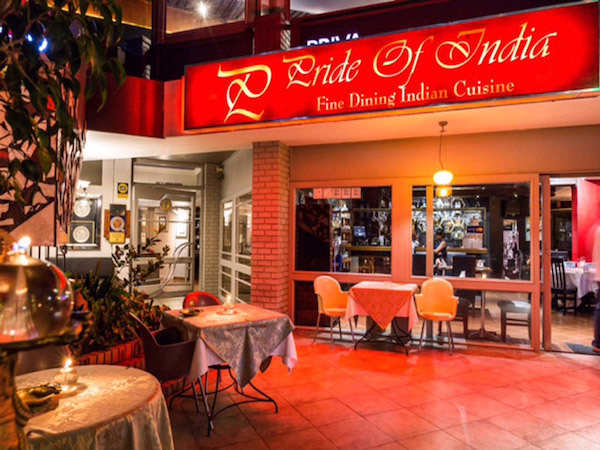 This accolade indisputably belongs to Maharajah Express (Main Road, Newlands), newly opened on the mini culinary row of Kobe Sushi Bar, Uncle’s Flavour and the Golden Spur. Run by a third-generation family of Indian chefs, they order a special daily delivery of unsliced bread with the right crust to make their spicy, zingy chicken or lamb bunny, which has fans of one of Durban’s most famous dishes queuing at the door. The chef also makes authentic, piquant versions of other classic Indian dishes from chicken and lamb rogan josh to lamb korma and biryani. Vegetarians will love the richly layered flavours of veg biryani, lentil dhal and paneer butter masala. Expect generous portions, big flavours and curry made with lots of soul. The Newlands branch of El Burro. Photo by Jan Ras. 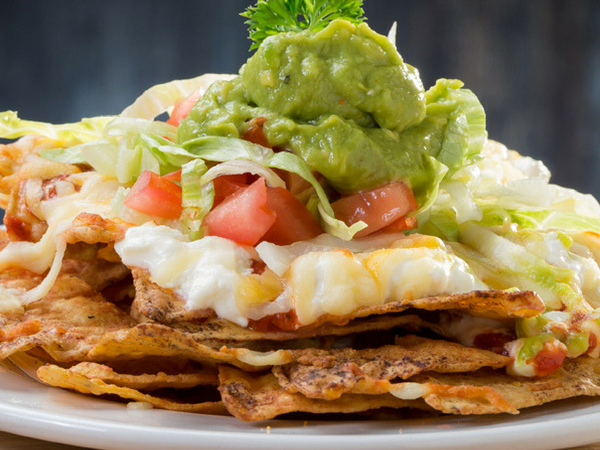 You’ll find the best Mexican food in the southern suburbs at El Burro (37 Dean Street, Newlands) as well as a tempting range of artisanal tequilas, mezcal and margaritas. The fare at this third branch of the El Burro franchise kicks like its namesake. Share spicy starters of chilli rellenos (smoked jalapeños stuffed with fresh cheese) and refried bean taquitos served with all the trimmings. Fans of this authentic brand of Mexican cuisine will go for the specialities – like the chicken mole poblano (made with 32 herbs and spices) served with couverture chocolate and green rice – or a wide range of enchiladas, quesadillas and tortillas. Spice fans should go for the twice-cooked chilorio pork in a zesty chilli and garlic paste – or the free-range goat Cabrito with serrano chilli. 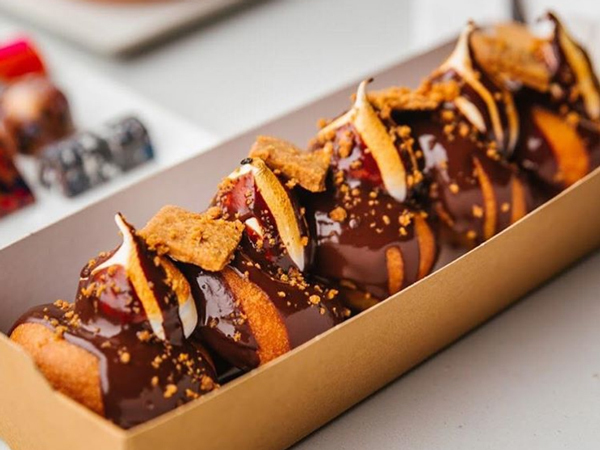 Leave room for churros and chocolate sauce. Maharajah Pure Vegetarian Cuisine (Fountain Square, Rondebosch) is a shrine for fine vegetarian cuisine over in Rondebosch village. The new chef here has put a spicy spin on her unique brand of compassionate cuisine. While the soya chicken, soya mince and soya prawn curries and wraps remain firm vegetarian favourites, the creamy paneer korma (made with coconut cream), spicy chickpea, butternut and butter bean curries and dhal makhani are bestsellers too. Vegetarians will find four bunny chows on the menu, as well as superb biryani. The menu lists many vegan options (marked with a green V), all served with delicious fresh naan, roti and paratha breads. There’s no alcohol and no corkage allowed so try a cleansing masala tea or a mango lassi. A pizza at Some Oaks Bistro. Photo supplied. 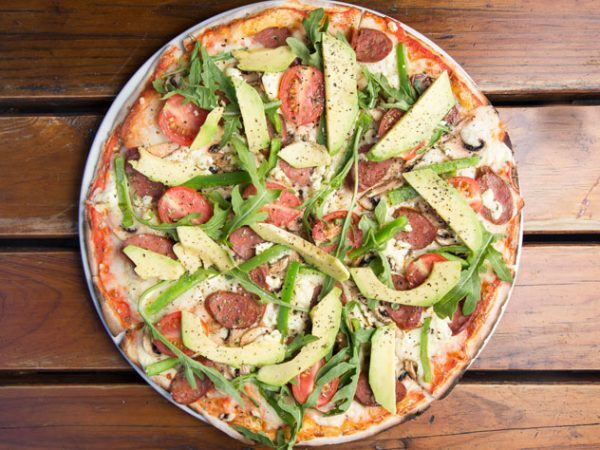 A landmark for authentic wood-fired pizza, Some Oaks Bistro (92 Campground Road, Rondebosch) has drawn the regulars back time and again for the past two decades. Now smaller to make way for Haru next door, this friendly little family trattoria is more intimate than ever. 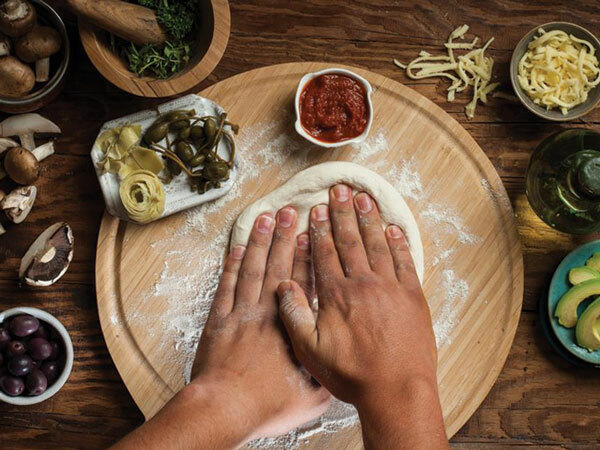 Thin-crust pizza is the star of the show but they also do a tasty range of pasta, burgers and salads. 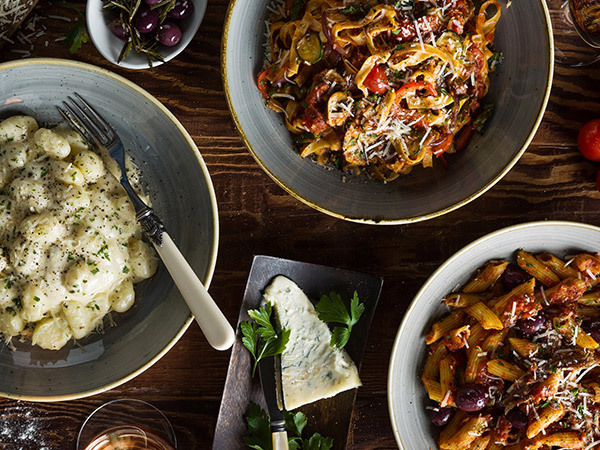 Good, fresh ingredients and imaginative combinations like bacon, fig and brie or parma, cherry tomato and rocket are winning formulas that come with lashings of fresh chilli, garlic and parmesan. For excellent gourmet pizza, Mio Col’Cacchio (cnr Keurboom and Belvedere roads) is hard to beat. The best brekker in the southern suburbs is a hotly contested spot. Top contenders for most scrumptious breakfast served with a damn fine cup of coffee would include Starlings Café (94 Belvedere Road, Claremont), Four & Twenty Café & Pantry (23 Wolfe Street, Wynberg) and Cafeen (41 Third Avenue, Harfield Village). But if you’re looking for the best eggs benny, go no further than Knead (Palmyra Junction, Claremont), where I get my weekly fix. Order the Benedict Classic, which comes with a brilliant homemade sauce and tomato salsa. You could get it with corn fritters or freshly baked rye, soda or ciabata breads. You also can’t go wrong with adding salmon or bacon. The barrista makes a seriously good flat white. Dr Seuss would enjoy the all-day Knead breakfast pizza with eggs, sausage and all the trimmings. If you’re looking for an authentic patisserie et boulangerie, Cassis (5 Cardiff Castle, Kildare Road, Newlands) is the place to go for high tea. Set on a casual terrace among the bustling restaurants of upper Newlands, you can people-watch the fashion parade from this tea salon while enjoying savoury or sweet crêpes, Provençale tarts and gourmet sandwiches. Black forest cake, mille feuille or feuille d’autumne? The choices seem endless. Cassis makes the best éclairs and macarons in Cape Town. If you’re here too early for tea, try one of their light and fluffy three-egg Parisian omelettes or stuffed croissants. A steak from the legendary The Hussar Grill. Photo supplied. I’ve left this controversial category for last as there are so many contenders – and everyone who lives in carnivore country is loyal to their favourite steakhouse. 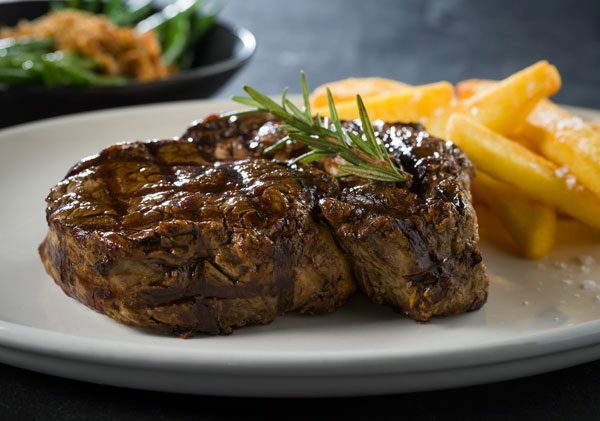 The front-runners would have to include The Hussar Grill (10 Main Road, Rondebosch), The Eatery Wood Fired Grill (cnr Belvedere and Keurboom roads, Claremont) and Rare Grill (166 2nd Avenue, Kenilworth). Hussar is impressive for its staying power, its consistency and the quality of its aged steaks, from classic chateaubriand and carpetbagger to the perfect rump, sirloin, filet or T-bone. The retro décor, comfy leather chairs and all the trimmings make it one of the most enduring institutions in the ‘burbs. Newcomer Patina should also not be missed; see their full review here.